Please follow these guidelines when you first submit your article for consideration by the journal referees. If accepted, we will send you more detailed instructions for preparation of your final manuscript. 1. Only original and previously unpublished articles will be accepted for publication. 2. The articles should be in Turkish or English. 3. The length of the submitted article should fall between 3,000 to 6,000 words. 4. All articles should include abstracts in Turkish and English (100-150 words). 5. Immediately after the body of the abstracts, there should be key words, minimum 3 and maximum 10 words. The key words should closely reflect the article topic and should be written in font size 10 and in italic. First letter of all key words should start with a capital letter. 7. The article title should be 14 pt bold and center aligned. It should be written in CAPITAL LETTERS. 8. The articles should be written in A4 size. The margins should be 5.5 cm on bottom and 5.5 cm on top side and 5.0 cm on left and 5.0 cm on right side. All fonts should be Times New Roman. The text should be 11 point, line spacing: at least, At: 0, before: 3 pt, after: 3 pt and full justified. 9. All pages must be numbered. 11. Main headings should be capitalized and sub-headings should be bold and left aligned and their first letters in capital letters. 12. Section headings (Introduction, Method, Findings, Discussion and Conclusion) should be numbered consecutively (1. INTRODUCTION; 2. …). Sub-sections should be numbered consecutively within each section (1.1, 1.2, 1.3, …; 2.1, 2.2, 2,3 etc). 13. All Tables should have a caption at the top and Figures should have a caption at the bottom and they should be numbered consecutively throughout the text. 14. All examples should be numbered consecutively throughout the text, using parenthesized Arabic numerals. Linguistic examples with interlinear glossing should be presented in a table, as shown below. Lexical forms should be glossed in lower case letters and grammatical categories in small caps, not in CAPITALS. 15. Footnotes should be used only if they contain some essential explanation that does not fit in the main text and should be numbered consecutively throughout the text in superscripts. They should be 10 pt Times New Roman and full justified. 16. References should be written using APA 6th edition referencing both in text and for listing at the end of the paper. References should be listed in alphabetical order in the Reference section. The indentations of the following lines of a reference should be 0.5 cm. · The basic layout to use for an in-text citation is (Author's Surname, Date of Publication). Ex: (Uzun, 2002), (Uzun & Huber, 2002). When you have three to seven authorsi for the first in-text citation, use all the names. For subsequent in-text citations, use the term ‘et al.’ after the first author’s surname. Ex: (Uçar, Kurtoğlu & Yıldız, 2011); (Uçar et al., 2011). When making a direct quotation, choose the correct in-text citation format for your work, but add the page number, preceding the page number with ‘p.’ and a single space eg. Ex: (Uzun & Huber, 2002, p. 27). Thompson, P. (2010). Building a specialized audio-visual corpus. In A. O’Keeffe & M. McCarthy (Eds. ), Developing linguistic corpora: A guide to good practice (pp. 59-70). Oxford: Oxbow Books. Gu, Y. (2006). Multimodal text analysis: A corpus linguistic approach to situated discourse. Text and Talk, 26(2), 127-167. Aksan, M. & Aksan, Y. (2013, September). Multi-word units and pragmatic functions in genre specification. Paper presented at 13th IPrA Conference New Delhi, India, 08-13 September 2013. Zeyrek, D., Turani Ü. D. & Bozşahin, C. (2009). The role of annotation in understanding discourse. In S. Ay, Ö. Aydın, İ. Ergenç, S. Gökmen, S. İşsever & D. Peçenek (Eds. ), Essays on Turkish Linguistics: Proceedings of the 14th International Conference on Turkish Linguistics, August 6-8, 2008 (pp. 303-310). Wiesbaden: Harrassowitz Verlag. Yılmaz, E. (2004). 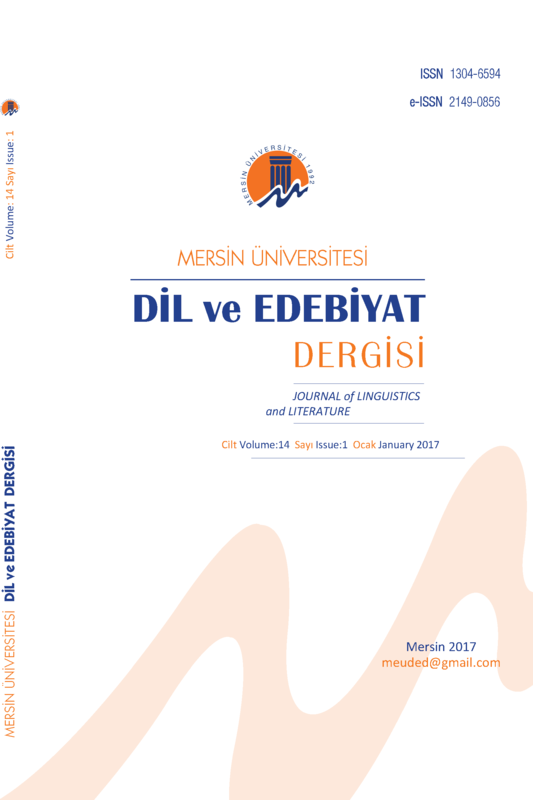 A pragmatic analysis of Turkish discourse particles: Yani, işte and şey. (Unpublished doctoral dissertation), METU, Ankara.